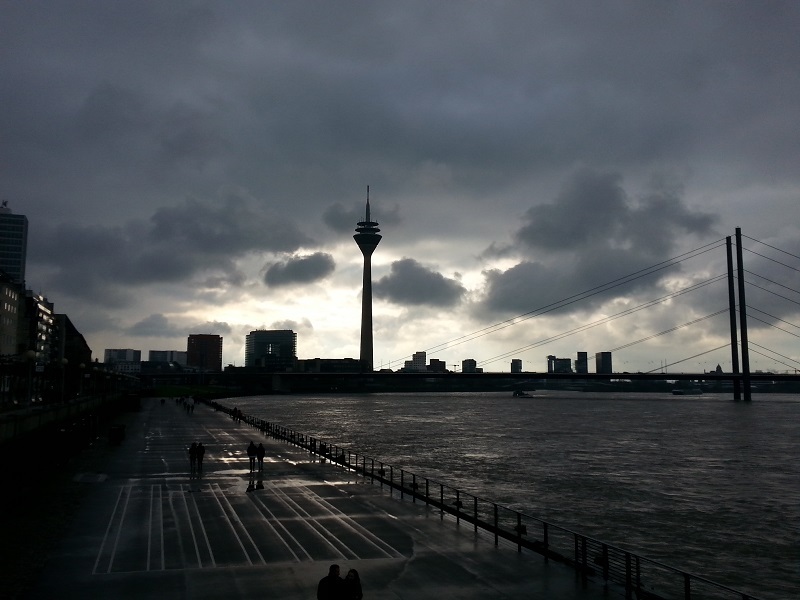 I haven’t spent much time in Germany so I decided to visit Dusseldorf at the weekend. The Journey from Eindhoven only takes around 1h 40 mins and it costs less than €10 each way if you travel with FlixBus. During the 1980s there was a popular UK TV series called Auf Wiedersehen, Pet. 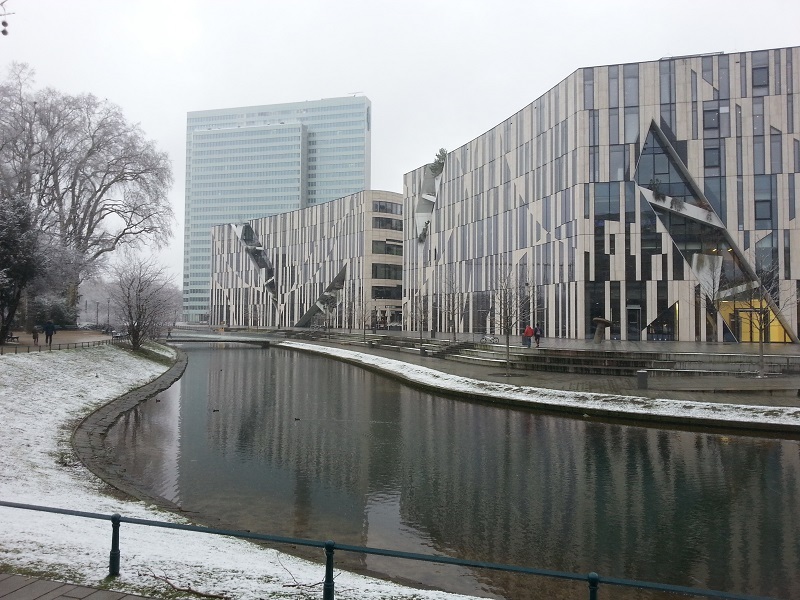 It was set in Dusseldorf and watching it made me want to visit the city. It took me over 30 years, but I got there in the end. As is normally the case when I go anywhere, I didn’t go looking for any of the popular tourist attractions, I just did some walking around to see what I could find and there is a lot of interesting architecture in the city. 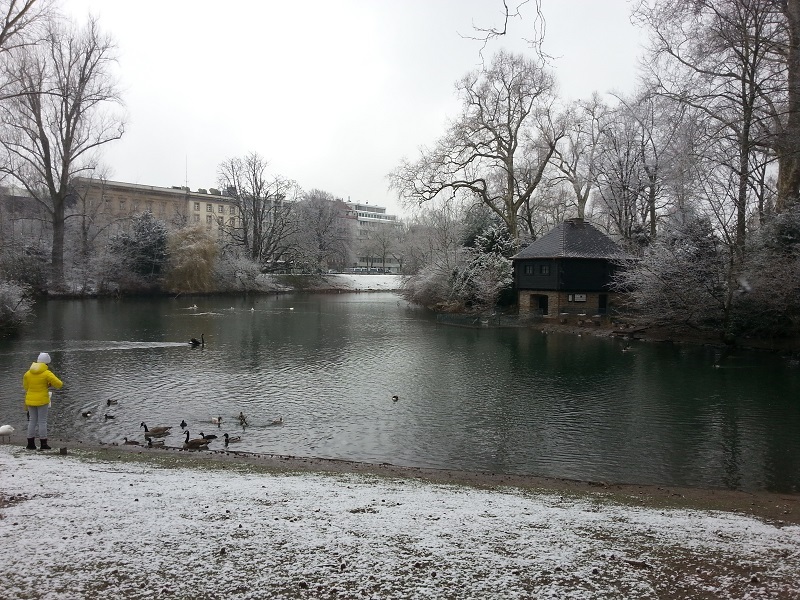 On Sunday morning when I woke up it had been snowing and my wandering took me to Hofgarten park and the light covering of snow on the ground and trees made everything look like a scene from a Christmas card. As has happened to me many times before, I seemed to be in just the right place at just the right time. I heard music playing, went to investigate, and saw a lot of people were wandering around in costumes and there was a podium set up in the Altstadt town square. I asked someone what was going on and he said it was a celebration that relates to the time when Germany consisted of several different kingdoms. Groups representing the different kingdoms were escorted to the podium, where they were officially welcomed to Dusseldorf and got the chance to provide some entertainment to show how glad they were to be there. That’s just my interpretation of things. There was obviously a lot more going on. So if anyone reading this can provide more accurate information, please feel free to do so in the blog comments section below.